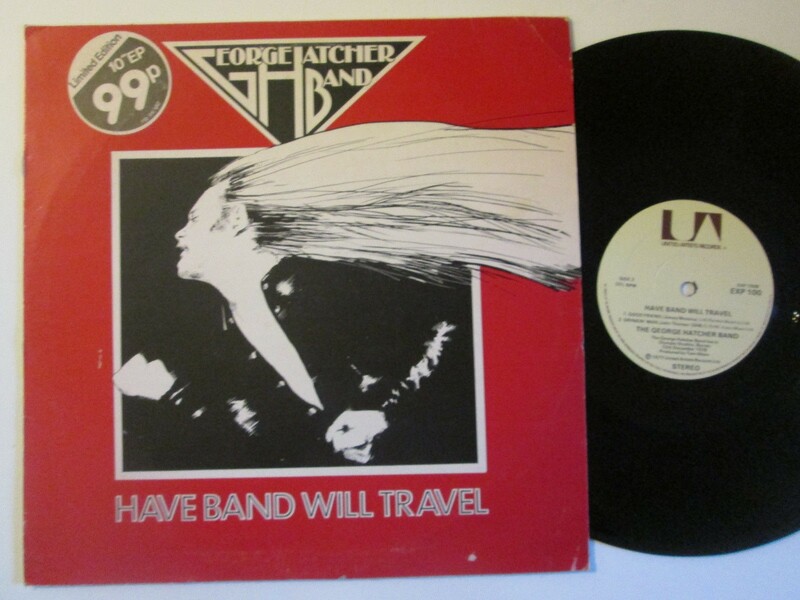 The music of the George Hatcher Band is a dynamic blend of Southern Rock and some very sophisticated British Progressive Rock. With a voice compared to Joe Cocker and Bob Seger along with the twin lead guitars and their “”Allman -esque”” style of duel lead lines played in harmony is yet another trademark sound of the George Hatcher Band. Add massive synth-strings, Hammond organ and piano, power bass and hot percussion playing music from the “”softest soft “” to the “”Loudest Loud”” and you have the unique George Hatcher formula. OTHER INFORMATION: United Artists, 1977. Exp 100. George Hatcher, ‘big’ John Thomas, Steve Wren, Harris Joannou, Phil Swan, Terry Slade. 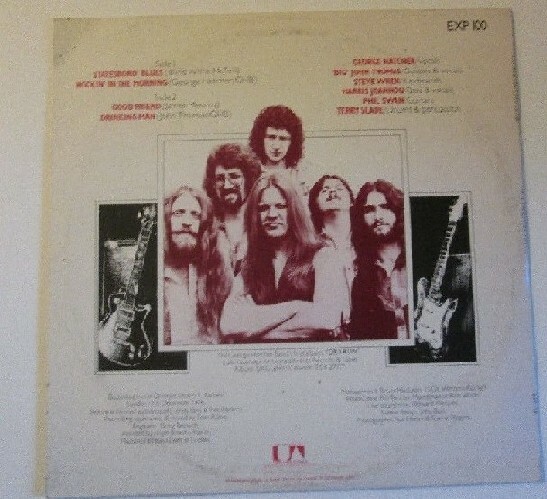 Before John Thomas joined BUDGIE he played with THE GEORGE HATCHER BAND. Some musicians never get their due. George Hatcher is one of them. This is, in my opinion, the greatest classic rock songs ever! This is the 10″ EP Have Band Will Travel. It’s a live effort which features 4 tracks. It’s also very much sought after. It is good ol’ Southern Boogie. And you just gotta love George’s voice. And band. 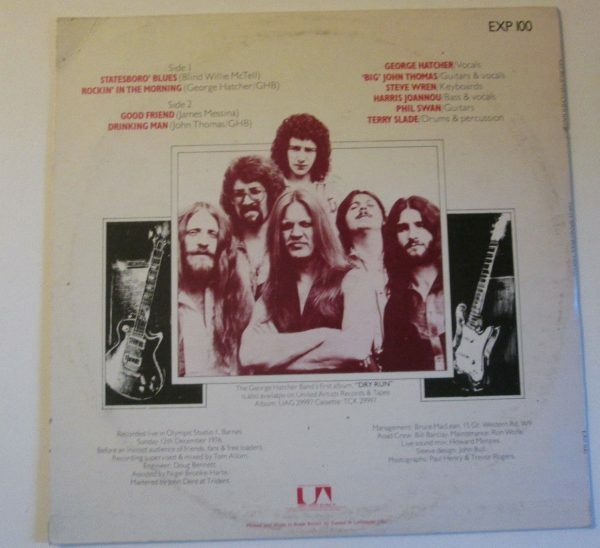 The George Hatcher Band was certainly one of the greatest southern rock bands between 1976 and 1982, and surprising they were not from Dixie land, but from England. And, as Whisbone Ash or Bad Company did, this band helped a lot this musical style to emerge. 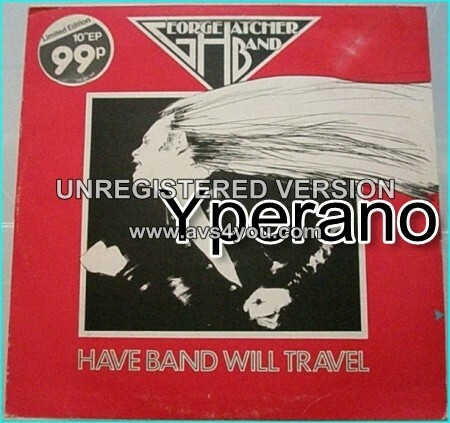 SKU: YP-8637 Categories: All Genres, Hard Rock, Rock, Search by Media Type, 10"